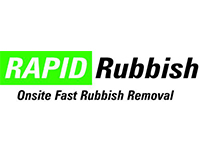 Rapid Rubbish specialises in rubbish removal for a variety of customers including residential and commercial. Instead of needing to hire a skip bin and load it up yourself, our staff will come to you, load up the rubbish in our trucks and take it away, it's that easy! Landscaping - Rapid Rubbish can do any kind of landscaping work. Tree work - we have experienced and highly qualified tree arborists that can maintain and remove trees of any size or shape. Stump Grinding - any size stumps. Demolitions - all sizes, carports, lean-tos, houses. Pest Control - eradication of and pest infestation. Rapid Rubbish provides rubbish removal and waste disposal services for different varieties of customers. We can do lawn work, landscaping, tree work etc. We visit you to load up the rubbish in order to dispose it.